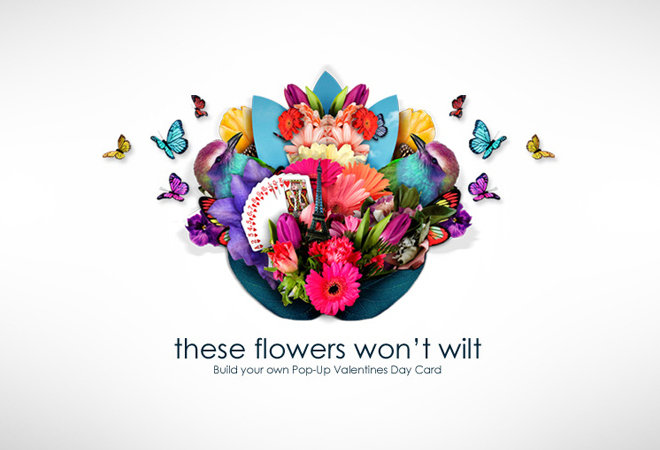 Make your own 3D Pop-Up Valentines Day card! The idea is based on pop-up flowers, which has personal touch and never fade away. Also, it should present various images as it’s for clients of stock image library, so I combined many colourful flowers, bird and butterflies. Although they are photographs of real objects, it needs some interactive part and giving some depth among the cutout elements, the plain papers became a real bunch of flowers.